Welcome to Chicago NightLife Entertainment WebNetworking News WebPage pf Chicago Night Life ( NightLife ), RMC. Wanted are your press releases on all cultural events and weekly social events & photos. Send via..... email below. They will be published once qualified. Mayor Rahm Emanuel today announced plans to complete the Chicago Riverwalk along the main branch of the Chicago River, which will build a continuous walkway and recreational amenity connecting the lakefront with the heart of downtown. The design plans unveiled today include conceptual ideas for each of the six blocks from State Street west to Lake Street with distinctive identities and purpose, thematically named: The Marina (from State to Dearborn); The Cove (Dearborn to Clark); The River Theater (Clark to LaSalle); The Swimming Hole (LaSalle to Wells); The Jetty (Wells to Franklin) and The Boardwalk (Franklin to Lake). The bridges over the river establish a boundary between each block, which allow for each to have a unique identity and landscaping. Each block will be linked by the continuous walkway along the river, beneath each bridge. The design of the blocks has considered the previous feasibility studies and the changing operations of the waterway. The Marina is designed to accommodate restaurant retail space and public seating. The River Theater will serve as the location for the vertical access between Upper Wacker and the Riverwalk level. The Cove may accommodate kayak rental retail space and allow for human-powered watercraft to dock. The Swimming Hole provides a great area for recreation, which may include a water feature such as a zero-depth fountain. The Jetty is a location for learning about the ecology of the river, with floating gardens and piers for fishing. The Boardwalk will be the site of an iconic bridge bringing people from Upper Wacker down to the Riverwalk level. It will be surrounded by floating gardens and landscaping. The plans reflect the build-out limits and general design of the entire riverwalk project which was agreed upon through a public development process in 1999. That comprehensive design work took place with the cooperation of the United States Coast Guard and Army Corps of Engineers and other waterway stakeholders – community groups, commercial operators and the recreational users of the river. The Chicago Department of Transportation (CDOT) has been working on the Chicago Riverwalk since East-West Wacker Drive reconstruction began in the 1990s. The roadway was reconfigured to accommodate the expansion of the riverwalk to promote a pedestrian walkway and activate the space as a public amenity. The East-West Wacker Project included utility build-outs for the future riverwalk build-out for the entire length from Michigan to Lake Street. In 2005, CDOT dedicated the Vietnam Veterans memorial west of Wabash Avenue. In 2009, CDOT completed the first phase of the Riverwalk build-out at Michigan Avenue and Wabash, which was funded through Tax Increment Financing. In 2010, CDOT issued an RFP/RFQ for the team to finalize the design of the framework plan developed through the city’s Riverwalk Development Committee. In May 2011, the chosen design team of Sasaki Associates Inc., Alfred Benesch & Co., Ross Barney Architects and Jacobs/Ryan Associates began work on the design plans for the next six blocks from State to Lake. As Mayor Emanuel is committed to finishing the final phases of the riverwalk, he has charged CDOT to find creative ways to finance the construction of the remaining six blocks from State to Lake. CDOT recently submitted a letter of interest to the US Department of Transportation for funding through the Transportation Infrastructure Finance Innovation Act (TIFIA) program. TIFIA provides credit assistance for qualified infrastructure projects, and is designed to fill market gaps and leverage other investment by providing capital. It is intended only for projects of regional or national significance. The TIFIA request includes funds to complete the design work from LaSalle Street to Lake Street, and the construction of the entire length of the build-out, which is estimated at $90-100 million. Consistent with the City’s public-private partnership initiatives, the City will also pursue sponsorship opportunities for the ongoing maintenance and operations of the new riverwalk facilities. 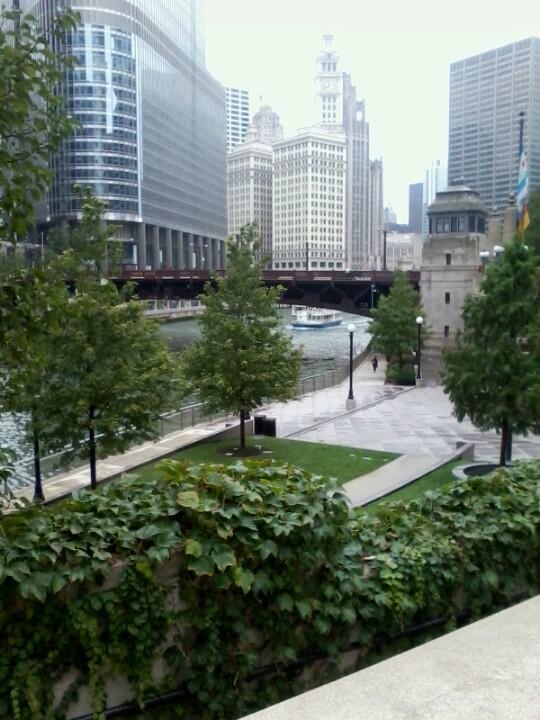 Editors Note:The Riverwalk project is vital to Chicago's future nightlife entertainment and urban development future. It is to provide a hub for additional development, along with additional lake-front projects in which to improve the quaility of life of Chicago's citizens. Recommended cool Chicago places to listen to music, see art, and to drink and dance. Hungry ? Here are some cool places to eat. The Chicago Night Life ( NightLife ), RMC Commercial WebSite, and The Chicago Night Life ( NightLife ), RMC Cultural WebSite of Chicago, Illinois.